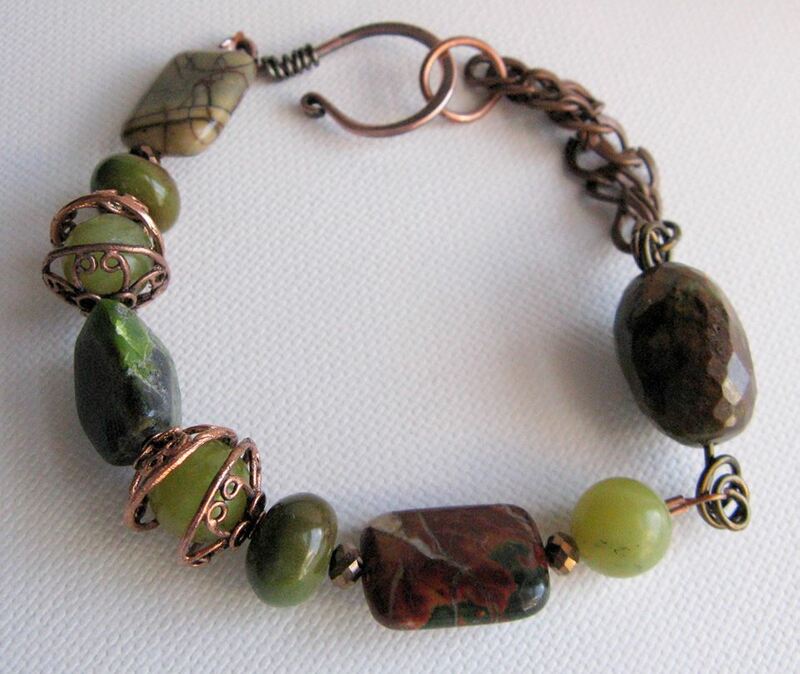 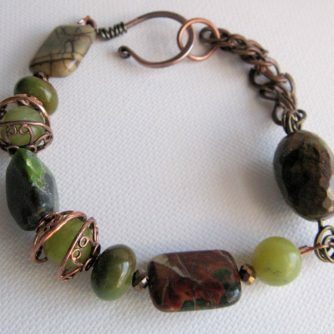 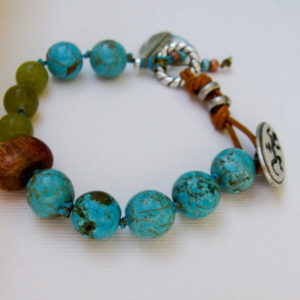 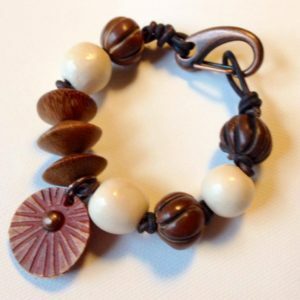 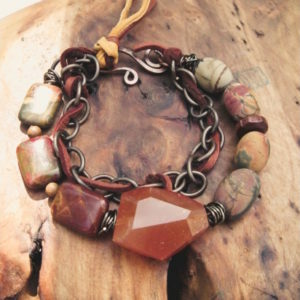 Gorgeous matt apple jasper bracelet mixed with suede leather lace and Vintaj copper chain. 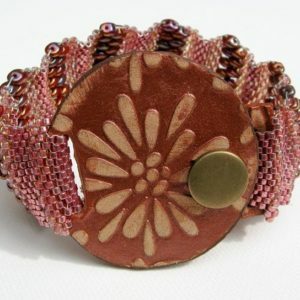 Fits 7” wrist comfortably but can be adjusted. 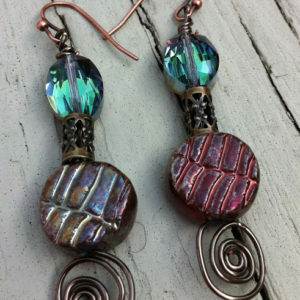 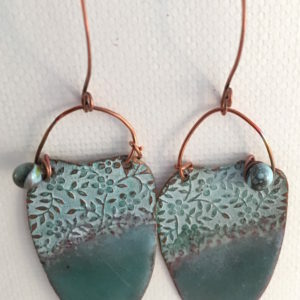 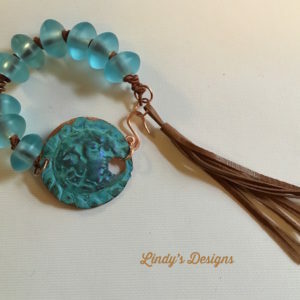 All Lindy's Designs jewelry will come gift boxed.